Building Deck From Wood or Plastic? Wood is still the king of decking materials, but the widespread acceptance and availability of manufactured “plastic” lumber has continued to grow among DIYers and professional deck builders alike. Which material is best for your new deck or deck-remodeling project will depend on factors including decking color, available board sizes, maintenance requirements, and, of course, price. 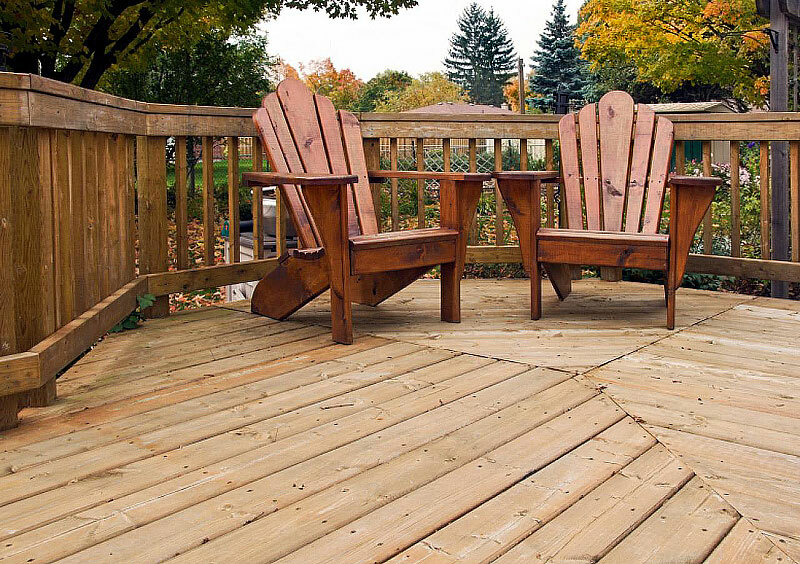 Natural-wood decking products can be roughly divided into three categories: pressure-treated lumber, redwood and cedar, and tropical hardwoods. You’ll find most types of wood decking at your local lumberyard, although availability may vary depending on where you live. A growing number of decking options—tropical hardwoods in particular—are available only online. This ubiquitous green-tinted wood has been the best-selling decking material for several decades and still is today. Each year approximately 75 percent of all new decks are covered with pressure-treated (PT) decking. The understructure frame—posts, beams, joists—of virtually every deck is made of PT lumber. 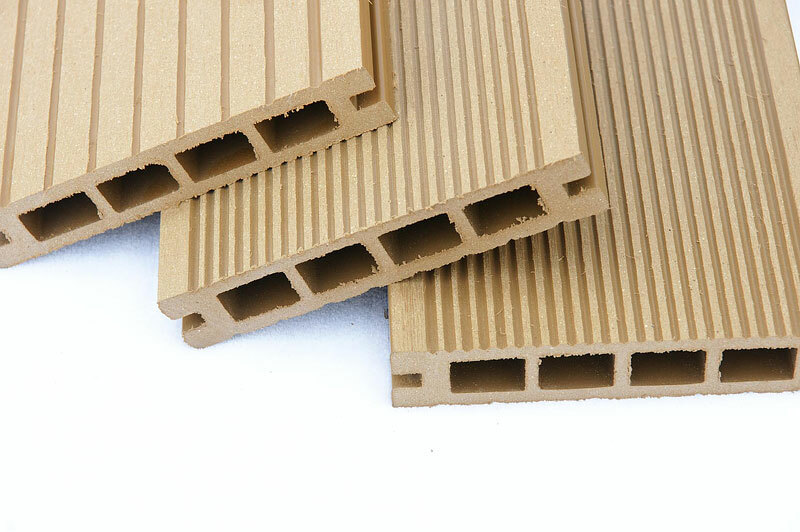 PT decking is the most affordable and widely available material. The most common size of treated decking is 5/4 x 6–inch planks (about 80 cents per linear foot), but 2 x 6s (70 cents per linear foot) and 2 x 4s (50 cents per linear foot) are also used. Most PT decking is cut from southern yellow pine and then chemically treated to resist decay, fungus, and wood-boring bugs. For more 70 years PT lumber was infused with chromated copper arsenate (CCA), a suspected carcinogen. However, CCA hasn’t been used in residential lumber since December 2003. Today, most PT lumber is treated with less-toxic chemicals, such as alkaline copper quaternary (ACQ), copper azole, or carbon-based, nonmetallic preservatives. The main disadvantage of PT decking is that because it’s cut from pine, it’s not very dimensionally stable. It has a tendency to swell, crack, split, and warp. When wet, it’s surprisingly heavy. PT decking requires routine maintenance too, including an annual power washing and an application of stain or clear wood preservative every two or three years. These two western softwood species are treasured for their rich crimson color and natural beauty. In addition, redwood and cedar tannins and oils make them naturally resistant to rot, decay, and voracious insects, so they don’t need to be pumped full of chemicals. These two woods are also lightweight and easy to cut and fasten with nails or screws. They’re stable and much more resistant to warping and splitting than PT lumber. The most common sizes of redwood and cedar decking are 2 x 6 and 2 x 4. Unlike PT lumber, redwood and cedar come is a wide variety of grades, ranging from the most expensive and clearest to the least expensive and knottiest. The California Redwood Association suggests using Construction Common or Deck Common redwood for decking. For a clearer—and more expensive—grade, choose B-grade redwood or Construction Heart redwood. 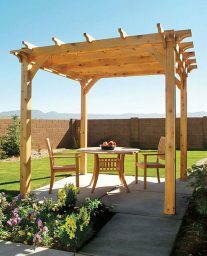 The Western Red Cedar Lumber Association recommends four grades of cedar for use as decking: Architect Clear, Custom Clear, Architect Knotty, and Custom Knotty. Again, the clearer the grade, the more it costs. Even though redwood and cedar are naturally resistant to the weather, you should lightly scrub or power-wash the surface annually, and apply a stain or clear finish every three to four years. To maintain the wood’s natural color and texture, you must apply a semitransparent stain. If you don’t, both redwood and cedar will eventually weather to a soft silvery gray. It’s fine to let the wood weather naturally, but we’d still recommend applying a clear wood preservative every few years to block excess moisture. The newest entries into the real-wood decking market come from Africa, South America, Malaysia, the Phillipines, and other faraway places. Most have exotic-sounding names such as Massaranduba, jatoba, meranti batu, camara, abaco, red tauari, tigerwood, and ipe. Tropical hardwoods share several common characteristics. They’re all very dense, hard, heavy, durable, and naturally resistant to rot and insects. They’re so dense, in fact, that it’s impossible to drive a nail or screw without first boring a pilot hole, which is why most tropical decking is installed with hidden fasteners that clip or screw into the edge of the boards. 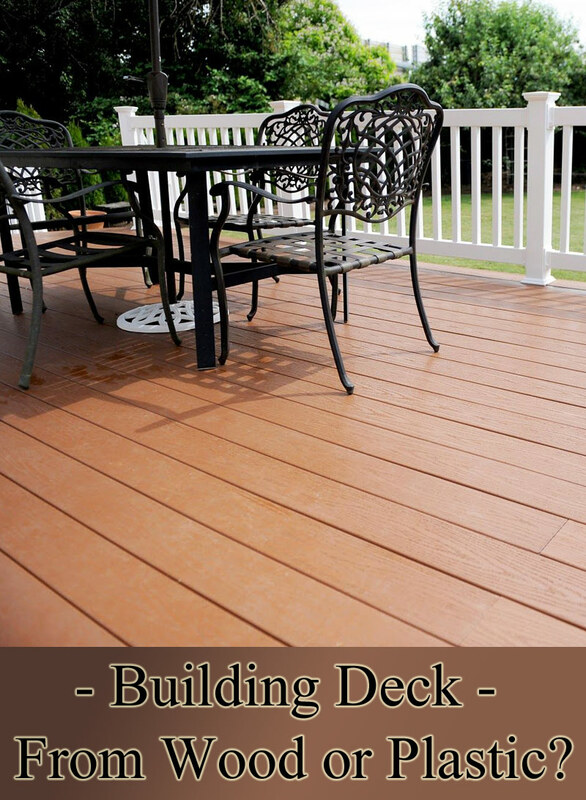 Decking sizes commonly available include 3/4- and 1-inch-thick boards, which come 3-1/2 or 5-1/2 inches wide. It’s difficult to give accurate pricing information on tropical hardwoods since there are so many species available. Generally speaking, however, tropical hardwoods are the most expensive real-wood decking option, costing slightly more than redwood and cedar. No wood decking is 100 percent maintenance-free, but tropical hardwoods come close. Most need little more than an occasional scrubbing and perhaps a coat of clear wood preservative. They’re so dense they don’t accept stains very well, so if you choose to apply a stain, be sure it’s a penetrating stain that’s specifically formulated for tropical hardwood decking. Standard decking stain won’t be completely absorbed, and it’ll leave behind a sticky film. It’s often recommended that you wait two or three months before applying a finish to tropical hardwood. This extra time allows natural oils to leach out of the hardwood, after which the decking will better accept the finish. If you choose not to stain tropical decking, it’ll eventually weather to a light silver color. Buy only tropical hardwood that has been certified by the Forest Stewardship Council. This is your assurance that the wood was grown and harvested in a legal, sustainable manner—and not illegally clear-cut from a rainforest. Composite decking, such as Trex, TimberTech, and Veranda, is a hybrid product that’s composed primarily of wood fibers and recycled plastic. The result is a dense, heavy, and weather- and stain-resistant deck board that won’t splinter, warp, rot,or split. The appeal of composite decking is that it’s virtually maintenance-free. 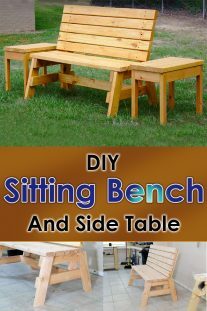 It never needs to be sanded, scraped, refinished, or stained. An occasional scrubbing with warm, soapy water will remove most dirt and grime. A little diluted bleach can kill mold and mildew that grow in damp, dark areas of a deck. Standard composite decking comes in limited colors—brown, gray, tan—and most will fade over time, especially where the deck is exposed to direct sunlight. However, most manufacturers now offer a line of fade-resistant composites, which cost a bit more but retain their color much longer. Composite decking comes in lengths of up to 16 feet and in many of the same sizes as PT decking, including 5/4 x 6 inch, 2 x 4, and 2 x 6. Most products also have realistic-looking wood-grain patterns molded into their surfaces. Prices vary, but expect to pay between $2.50 and $3.50 per linear foot for most standard-grade 5/4 x 6–inch composites. Plastic decking—such as Azek Deck, Evolve, and Forever Deck—is made from 100 percent plastic (recycled and/or virgin) and contains no wood fibers or fillers. 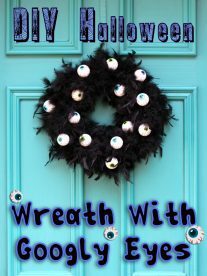 It’s highly stain-resistant, doesn’t require finishing, and won’t ever crack, warp, or splinter. Plastic decking comes in many more sizes than other decking options, in some cases up to 12 inches wide and 20 feet long. The downside of plastic decking as compared with the other options is that it’s designed as part of an overall system—therefore, it must be installed with strict adherence to manufacturer’s instructions. This often requires purchasing special fasteners, fascia boards, and trim pieces.